Born in Piatra Neamt, Romania, in 1976. Bogdan George Apetri is a double graduate of New York’s Columbia University in Film Direction and Cinematography (2006). Prior to his film studies, Bogdan studied and practiced Law in Bucharest. 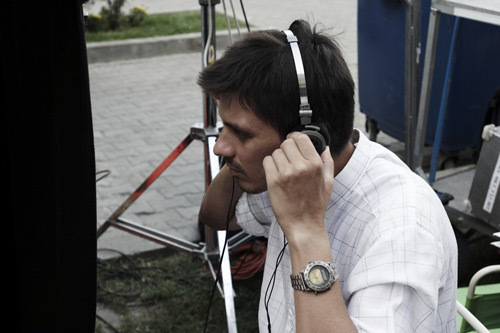 Bogdan made his first film, Alex and Eliza, a medium length, in 2000. It was followed by a series of short films: The Arrival of the Train at the Station and Corny in 2002, Crossing in 2003, A Very Short Trilogy About Loneliness (O foarte scurta trilogie despre singuratate) in 2006, and Last Day of December (Ultima zi din decembrie) in 2008. Periferic, premiered in 2010, is Bogdan George Apetri’s debut feature length film.